​Here in the heart of Central America, you can come to restore yourself and reconnect with nature and the natural rhythms of life. Stardust Sanctuary Farm is newly formed but its founders, Pauline Schneider and Dr. Guy McPherson, have decades of experience living off-grid, growing and raising their own food, and educating young and old about the deep beauty of wilderness. We will be offering workshops for those folks wrestling with NTHE. For more information see our Only Love Remains website. Visitors will have access to a community room for reading, music, watching films, cooking, and doing art, as well as the opportunity to explore several neighboring eco-experiences, including The Green Hills Butterfly Ranch, The Mountain Equestrian Trails, Calico Jack's Zip lining, Barton Creek Archaeological Reserve, tubing down the river, Mayan caves and more. Stardust Sanctuary Farm is ready to help create memories for a lifetime. 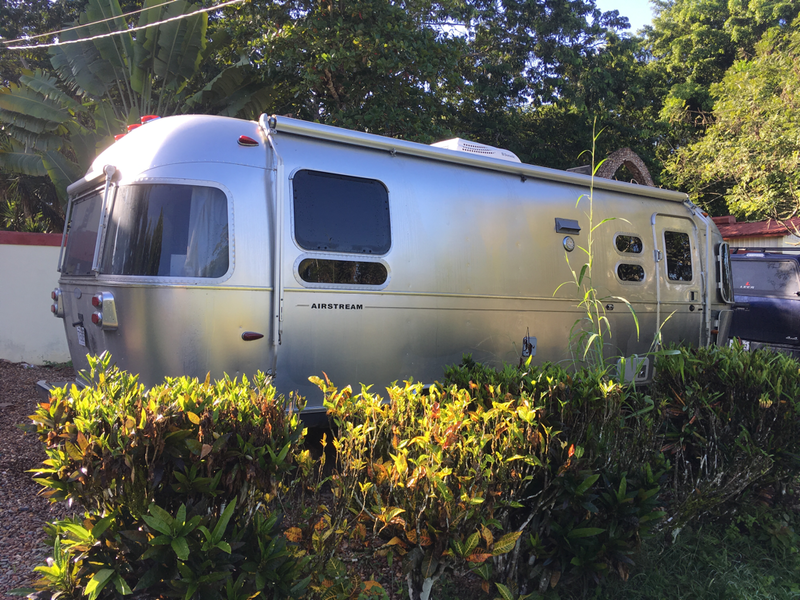 Check out our Airstream AirBnB and Villa in the Jungle Air BnB.